Hey, don’t eat those clams. They could hold the key to finding a cancer cure. A recent study by researchers at Bigelow Laboratory for Ocean Science in East Boothbay indicates that bivalves — shellfish such as oysters, clams and mussels — may hold the key to new techniques to fight diseases in humans. A paper published in the journal Developmental and Comparative Immunology suggests that studying bivalves as model organisms could provide clues to cures for diseases such as flu and cancer, and new technologies such as bone regeneration. Oysters are exposed to bacteria and viruses just like humans, but fight off pathogens without antibodies, the proteins that mammal immune systems use to attack disease. 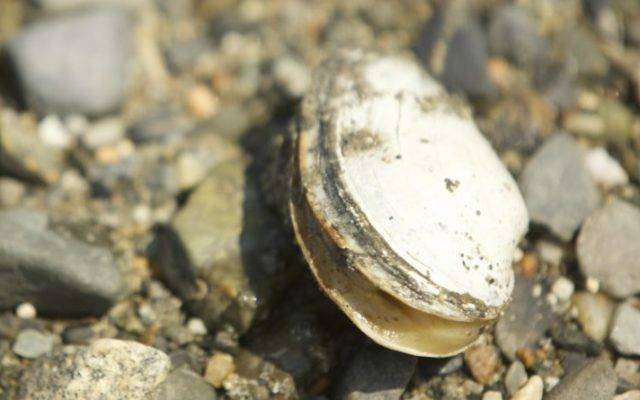 Clams can contract a contagious cancer, but also can cure themselves of it without antibodies. Studying immunity in bivalves could help researchers find an alternative to antibiotics, which are becoming more resistant to pathogens. And mimicking the antimicrobial compounds that mussels produce may yield new drugs for humans and livestock. Robledo’s team is working to develop the molecular tools needed to study the bivalve genomes. The oyster genome, recently sequenced, contains 28,027 genes, but researchers don’t yet know what most of them do. Recently, study author Adrienne Tracy was able to introduce DNA into oyster blood cells in Robledo’s laboratory, which will allow researchers to test hypotheses about the function of specific genes. Robledo hopes to develop an oyster cell culture that would allow researchers to work from a genetically uniform stock and compare results. As they study how bivalves could help humans, the research could also help the shellfish industry, as Robledo plans to develop recommendations to guide farmers and hatcheries in breeding bivalve stocks for resistance to disease, and for development of strong shells and rapid growth. The study was funded by grants from the Saltonstall-Kennedy Foundation, the National Science Foundation, and the National Institute of Health.